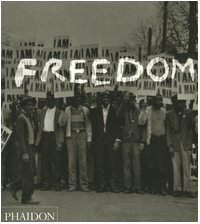 This momentous volume chronicles a photographic history of the African American struggle for freedom, combining a unique assimilation of rare images with thought-provoking scholarly analysis. Although the civil rights movement in America is conventionally identified with the period between 1954 and 1968 (from 17 May, 1954 when the Supreme Court outlawed segregation in public schools, through to the assassination of Martin Luther King, Jr on 4 April, 1968), the struggle actually began long before that. Slavery in American colonies was protested against as far back in time as the seventeenth century, though it was not until the mid-nineteenth century that the resistance built momentum. This photographic journey of the African American struggle for equality begins with abolitionists like Harriet Tubman, who escaped slavery in 1849 after which he was able to help others to freedom, and continues to the twenty-first century. Freedom chronicles the battle to eradicate slavery throughout the Civil War (1815), with profound sensitivity and acute attention to detail. Accordingly, it traces the evolution of the dual legacy of slavery - segregation and racism - after its official prohibition. The struggle for equal rights involved countless small acts of personal bravery and sweeping proclamations of legal and moral import. It is the stuff of of hope and despair, vigilance and violence - realized in an arena of economics, politics and war. It engages black and white, the heroes and the unheard, public acts of protest and private moments of introspection in a world that is unforeseeably challenging. This book comprises a passionate and poignant celebration of this historical struggle as a gradual phenomenon, substantiating incisive academic discourse with previously unpublished photographs of iconic status.